Pune, December 2: 'Anandgram', the first ever Micro Township being setup by Vastushodh Projects Private Limited at Yavat on Pune – Solapur highway to provide a concrete solution to city's need of housing for Urban Poor has added yet another first to its credit. Pune, December 20, 2011: Vastushodh announces first-of-its-kind effort to franchise its 'AnandGram' and 'UrbanGram' brands in the affordable housing sector. 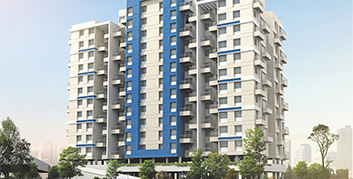 They also launched the first 'UrbanGram' project under the franchise model at Kirkatwadi on Sinhagad Road. They're all set to create 3 million square feet of affordable housing space with the target of 10 million in the next three years. Kolhapur, 15th October 2013 The pioneers of affordable housing; 'Vastushodh Projects Pvt. Ltd.' from Pune, are all set to enter Kolhapur. The Managing Director of Vastushodh Projects spoke to Shraddha Jain, from Aaj Ka Anand about his thoughts and ideals of affordable housing. The Managing Director of Vastushodh, Mr. Sachin Kulkarni was featured in the Economic Times (Wealth section). On 29th May 2013, the directors of 'Vastushodh', Mr.Sachin Kulkarni and Mr.Nitin Kulkarni presented a case study on 'Affordable Housing'. Sachin Kulkarni, Managing Director of city based real estate Development Company 'Vastushodh Projects' has been awarded with the 'Rotary Leadership Excellence Award' by the Rotary Club of Pune Wisdom.